Project Peri – Translates Sound into Light for the Hearing Impaired « Adafruit Industries – Makers, hackers, artists, designers and engineers! 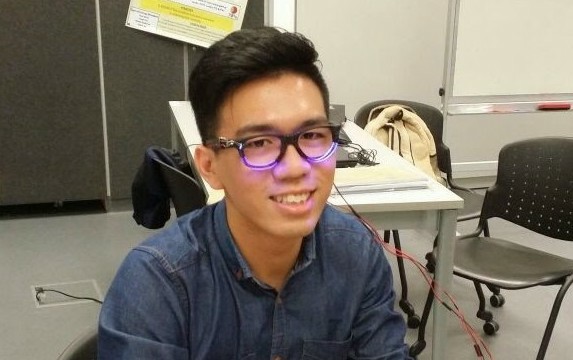 Pavithren Pakianathan, lead designer of the team from the Singapore University of Technology and Design (SUTD), told Mashable it took about four months to complete the current prototype, which utilizes four microphones and LED lights. Peri’s circuits create a specific lighting pattern according to the loudest sound detected, and indicate the direction of the sound. The project was so impressive it won the James Dyson engineering award.